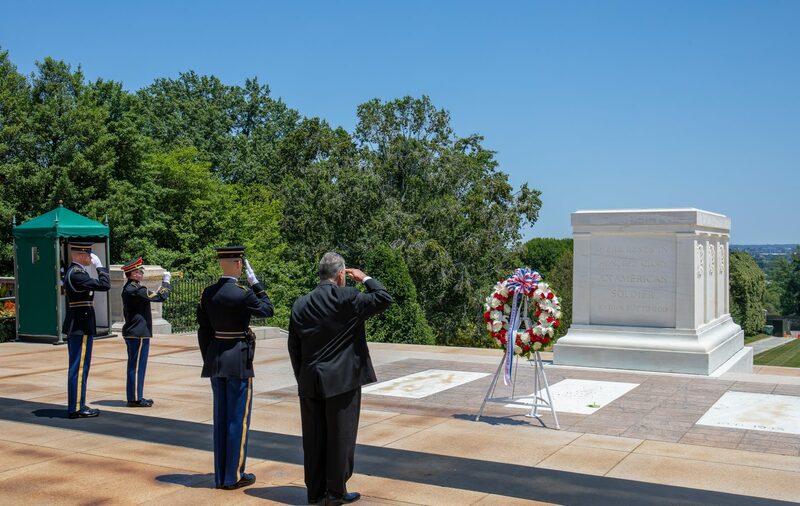 Atop a hill in Arlington National Cemetery, overlooking Washington D.C., sits the Tomb of the Unknown Soldier which has seen a continuous military guard for over 80 years. 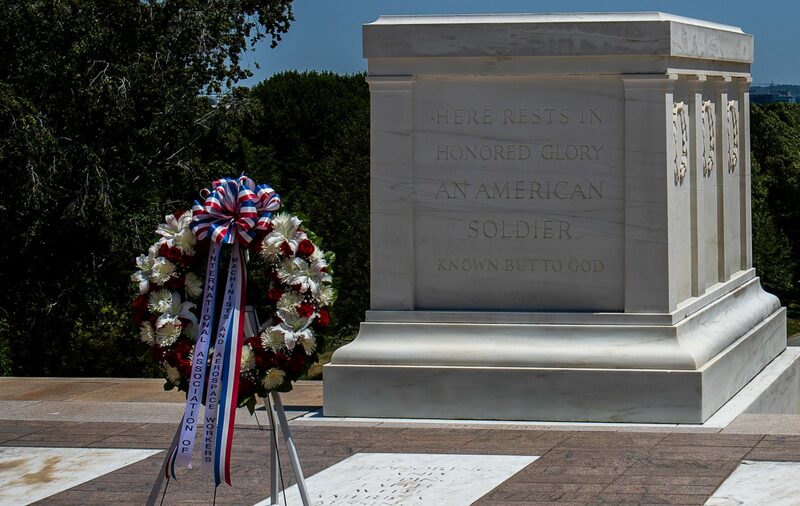 A white marble tomb rests about the grave of an unknown soldier from World War I inscribed with the words “Here rests in honored glory an American soldier known but to God”. 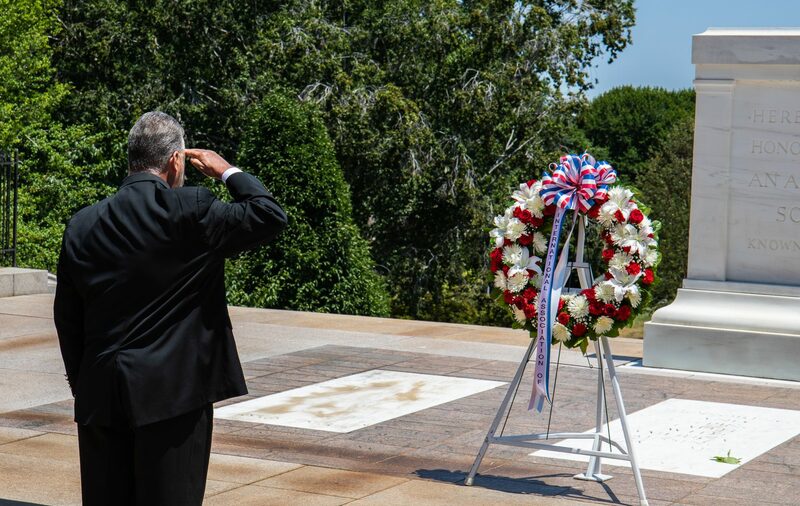 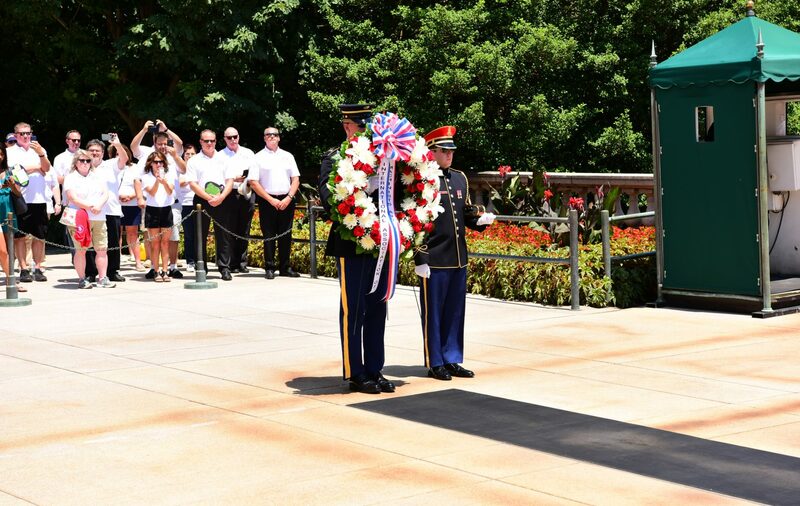 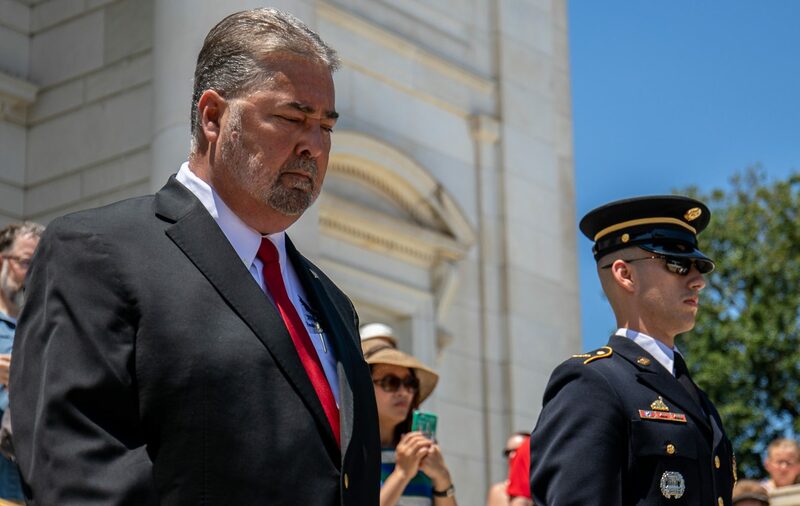 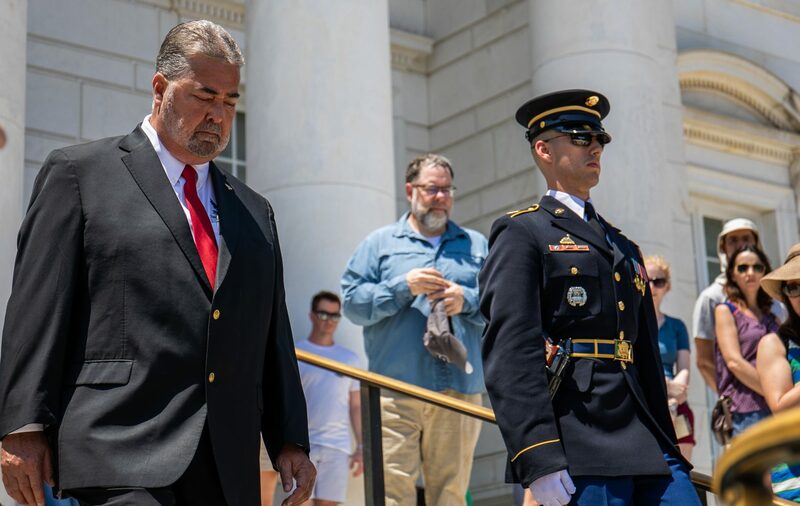 On Saturday July 14, dozens of Machinists Union members joined International President Bob Martinez as he placed a wreath honoring these heroes at our nation’s most sacred gravesite. 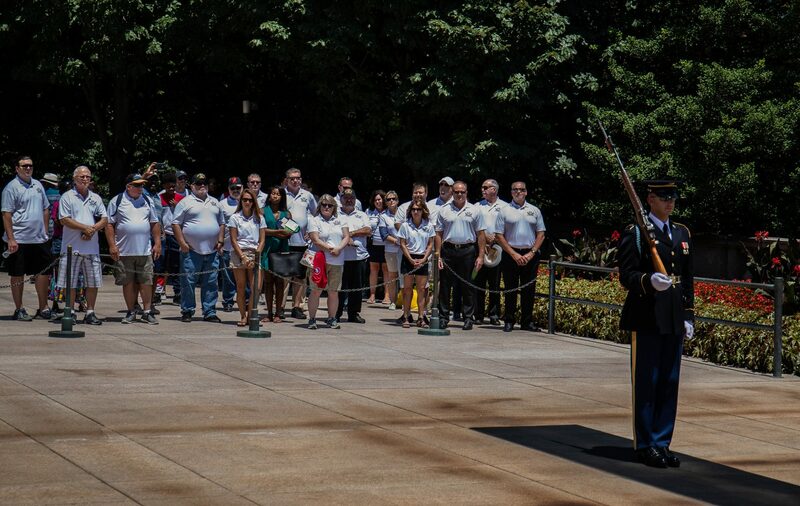 The solemn event was attended by many IAM members, some who traveled from states away to be present. 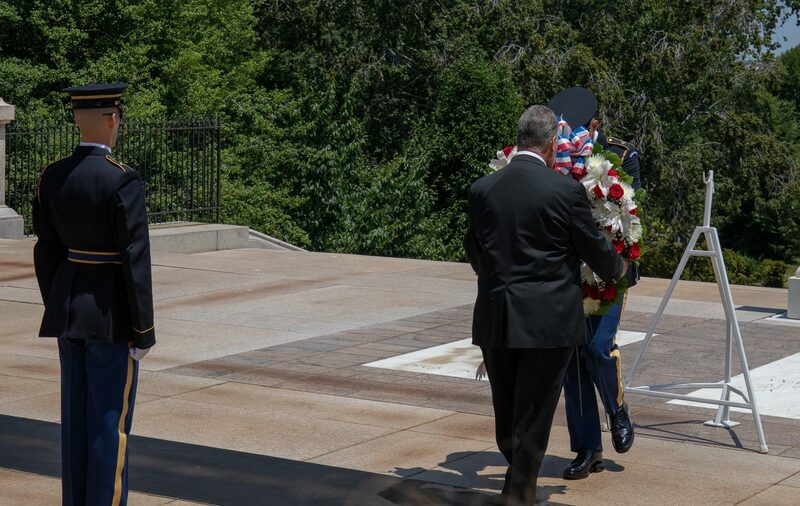 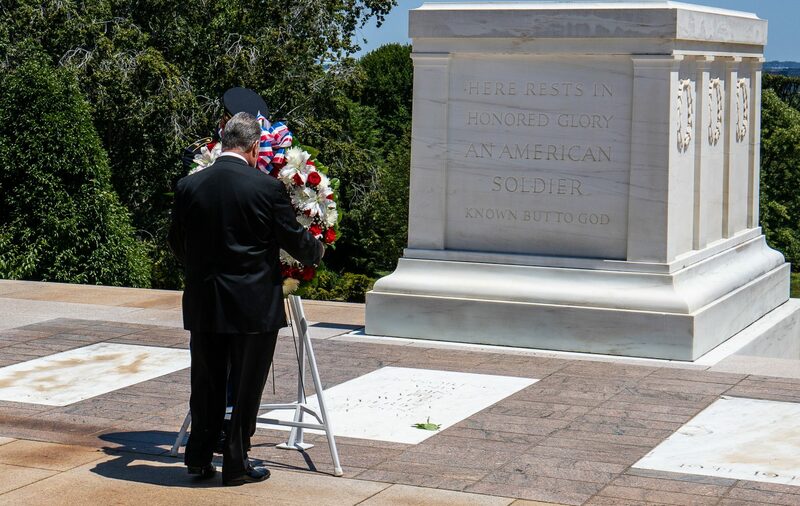 The Tomb of the Unknown Soldier is dedicated to U.S. service members who have died without their remains being identified. 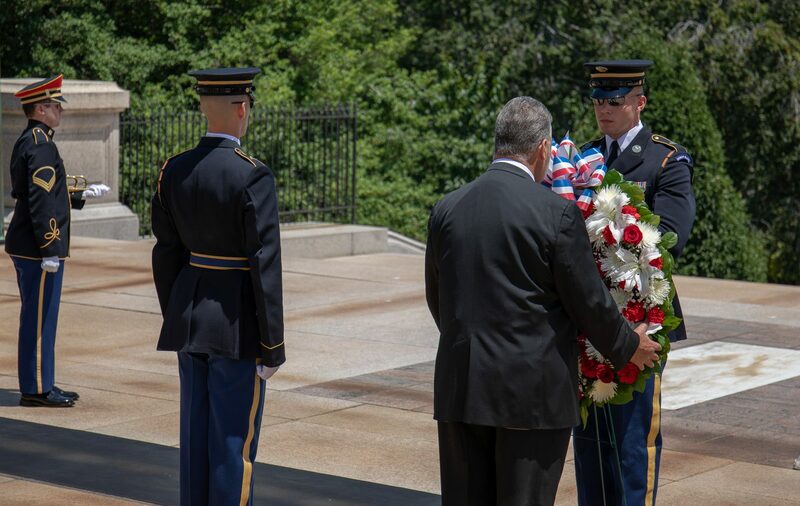 The first soldier buried there was killed in World War I and laid to rest during a ceremony on November 11, 1921, later to be joined by unidentified soldiers from World War II, the Korea War and the Vietnam War. 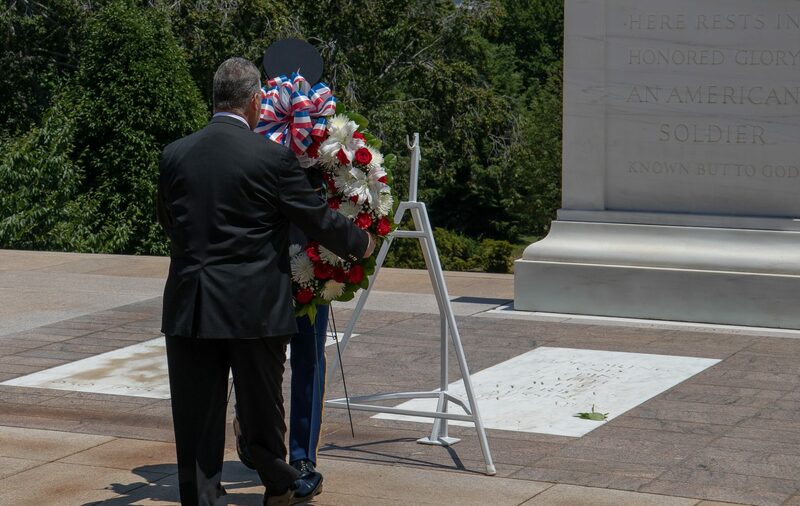 The IAM Veterans Department set up the arrangements for the wreath laying ceremony. 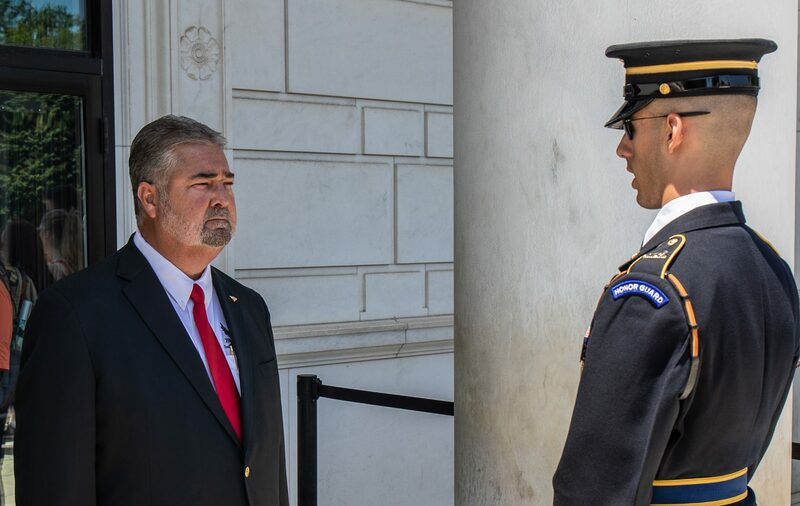 Anyone wanting to be involved in the IAM Veterans Program contact the Veterans Department at 301-967-4569. 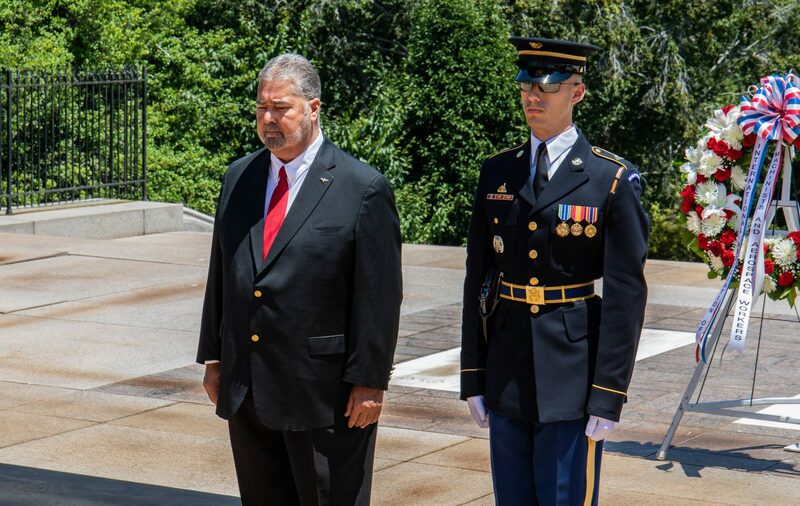 The post Honoring our Fallen appeared first on IAMAW.